This compact kit attaches to doors (and trees), so full-body workouts can happen on the go. A gym? Please. You don't need that to exercise. Our recipe for an A+ workout includes only two ingredients: motivation—that's on you—and this compact travel kit. 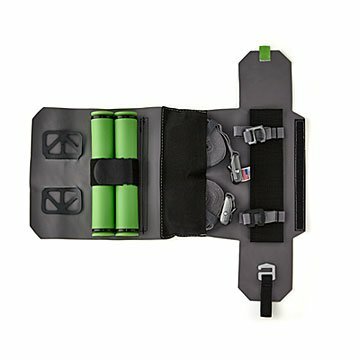 Designed to make on-the-go fitness easy, it folds to the size of a water bottle and easily attaches to doors (or trees). The tools included leverage your weight to make full-body workouts possible even when you're far, far away from the weight room... and hopefully somewhere fun, like the beach. Made in Colorado, which we hear is cool, too. Designed for extreme use in the most exotic locations on earth. No care needed, just common sense.